Nokia Software Updater install the right language pack of the firmware accordingly to the product code, in case you haven't know it works. So as long as you know what are the product codes for your Nokia handset, you can choose the firmware in your preferred languages to install. Why use NSS pro? It supports newer Nokia phone's connectivity drives and fewer steps to write product code compared to older Nemesis Service Suite (NSS). Furthermore, NSS has been discontinued. So NSS is unable to scan new Nokia phones. What do you need before get started? 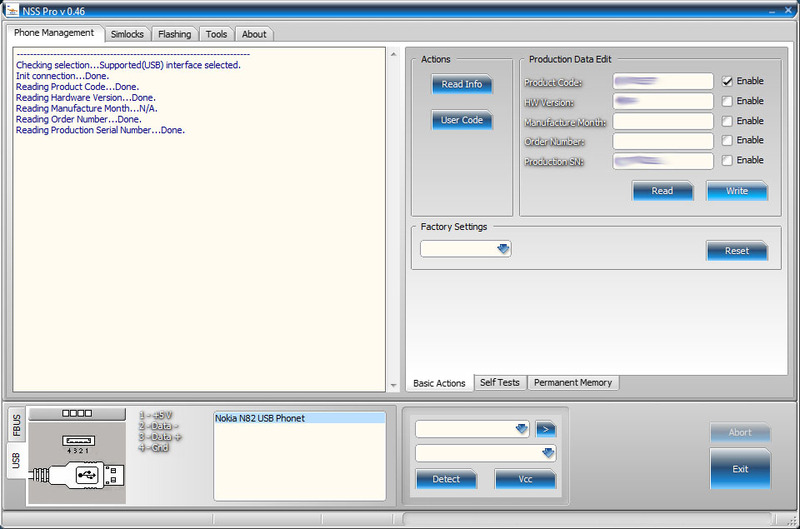 Under Production Data Edit category, click Read and you will see the information of your handset. After NSS pro has written the new product code, you may click Read again to confirm the new product code has been written. Done. As usual, update firmware with Nokia Software Updater and you will have your preferred languages installed. UPDATE: Check out the complete list of Nokia Product Code with NaviFirm. what is the product code i have to select for Installing hindi Language? Each different phone model has different product code for languages. The product codes should be easily found through Internet search. Or, you can provide your phone model here and I'll try my best to find it for you. Nokia Software Updater is very nice and comprehensive. this is very useful information for Nokia Software Updater. Also thanks for great sharing. this is very nice article and very good sharing about Nokia Software Updater. I don't know what is wrong with most of the people here, but Nokia is pretty much b*llsh*t when it comes to customer satisfaction. (not being able to just download and install a language pack from the net which is already publicly available for everyone ever since 2012, this is 2018 and they still have not fixed this extremely simple problem that can be fixed extremely easily because they want you to pay for installing a language pack from the Nokia service center which I call b*llsh*t.